Crystals come in all different shapes and sizes. However, the purest and cleanest crystals are usually also the ones that grow to be the largest in size. In this science fair project, you will compare the size and shape of crystals grown in three different temperature conditions: room temperature, in the refrigerator, and in an ice bath. With just water and borax, a household cleaning product, you can discover the best recrystallization method for growing large, pure crystals. To find the best temperature conditions for growing the largest, purest crystals. Chemists perform chemical reactions as a way to change one chemical, or substance, into another. Chemical reactions are constantly happening all around you, and inside of you. As just one example, if you leave your bike out in the rain, you might have seen that the shiny metal turns reddish-brown. This happens because a chemical reaction has turned the metal into rust (specifically, the iron in the metal is reacting with the oxygen in the air or water). 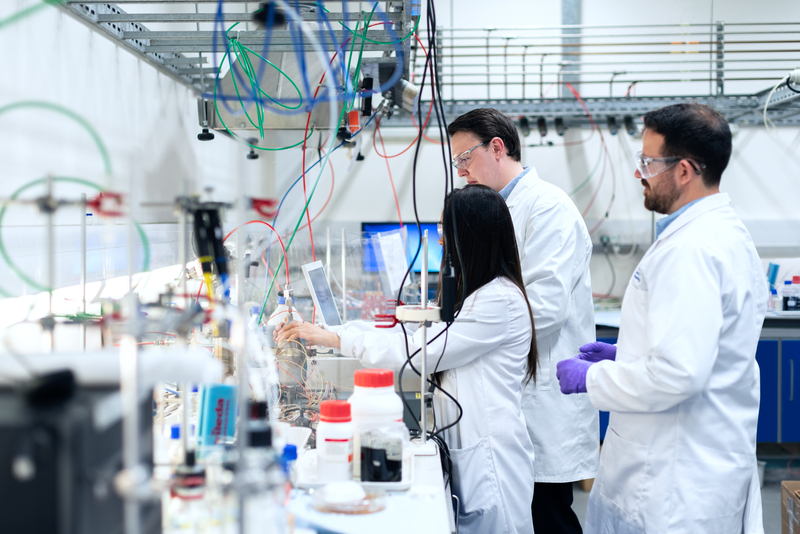 Sometimes, chemical reactions form more than one product, though, and chemists need a way to separate and remove the product they want from all of the other material. One way they do this is with a process called recrystallization . The scientist dissolves the mixture of products in hot water, and then lets the mixture cool. As the mixture cools, one product slowly appears as crystals, which can then be removed from the rest of the liquid, which has the other product. Why do you think the crystals appear when the solution is cooled? It has to do with the fact that every solid that can be dissolved in water has a solubility, which is the largest quantity of the solid that can be dissolved in the water to make a clear solution. When the water starts getting cloudy and you can see solid particles floating around, that means no more solid can dissolve into the water and the solution (water and solid mixture) is saturated. But, the solubility of most solids increases as the mixture is heated, so more of the solid can be dissolved in hot water than in cold water. For instance, imagine you are making a cup of tea—you might notice that you can dissolve more sugar in hot tea than in iced tea. Give it a try and you will probably see sugar crystals at the bottom of the iced tea glass, even after you have stirred it. When a hot saturated solution is cooled, however, there is suddenly more solid in the solution than can normally be contained by the cooler water. 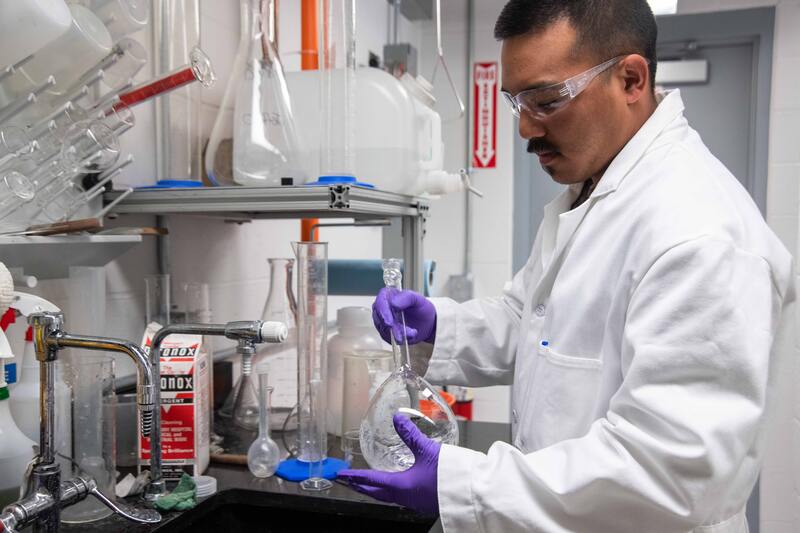 The hot saturated solution is known as a supersaturated solution because more solid was dissolved in it than can be dissolved under normal (cooler) conditions. Because it can no longer stay dissolved in the water, some of the bits of solid fall out of the solution. As they do this, they bump into each other, stick together, and form larger and larger pieces, called crystals. 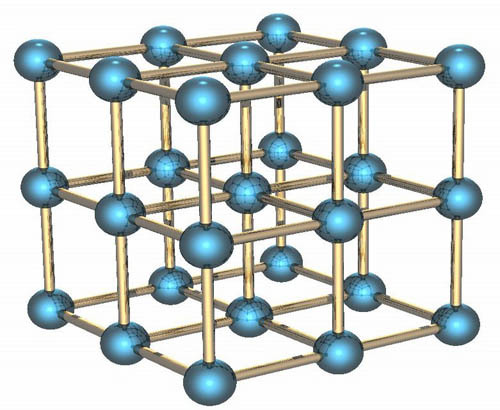 A crystal is a solid made of molecules (tiny little pieces too small to even be seen by most microscopes) that have come together in a specific repeated pattern, like in Figure 1, below. Going back to the tea example, if you made a saturated solution of hot tea and sugar and then let it cool, under the right conditions, you would be able to see small sugar crystals forming. Figure 1. Crystals, like the cubic crystal above, are solids with a specific repeated pattern. When the molecules of the crystal come together, impurities (which are the unwanted products of the chemical reaction) do not fit into the structure, much like the wrong piece of a puzzle does not fit. So, if the crystal forms slowly enough, the impurities will be rejected because they do not fit correctly, and instead, remain in the solution and float away. But if a solution is cooled too quickly, there is not time to reject the impurities and instead, they become trapped in the crystal structure and the pattern is disturbed. Do you think crystals that are cooled quickly will look different than those that are cooled slowly? Think about the effect that the speed of cooling might have on the number of crystals that form, the crystal size, and the clarity of the crystals. In this chemistry science project, you will discover the best temperature conditions for making the largest, purest crystals by growing your own crystals out of borax (a home cleaning product) in different temperature conditions. How do you make a saturated solution? Why does slower cooling result in purer crystals? How do you think crystals with more impurities will look compared to crystals with fewer impurities? Thermometer, which is available from online suppliers such as Carolina Biological catalog #745390. Borax (also called 20-Mule Team household cleaner); this can be purchased from Amazon.com or in the cleaning aisle of many grocery stores. Safety Note: Borax is harmful if swallowed, inhaled, or contacts eyes. It is uncommon, but possible, for borax to cause skin rashes. Gloves can be used to avoid skin contact. Optional: Gloves, can be used if there is concern over handling borax. These can be purchased at a local drug store or pharmacy, or through an online supplier like Carolina Biological. If you are allergic to latex, use vinyl or polyethylene gloves. Disclaimer: Science Buddies occasionally provides information (such as part numbers, supplier names, and supplier weblinks) to assist our users in locating specialty items for individual projects. The information is provided solely as a convenience to our users. We do our best to make sure that part numbers and descriptions are accurate when first listed. However, since part numbers do change as items are obsoleted or improved, please send us an email if you run across any parts that are no longer available. We also do our best to make sure that any listed supplier provides prompt, courteous service. Science Buddies does participate in affiliate programs with Home Science Tools, Amazon.com, Carolina Biological, and Jameco Electronics. 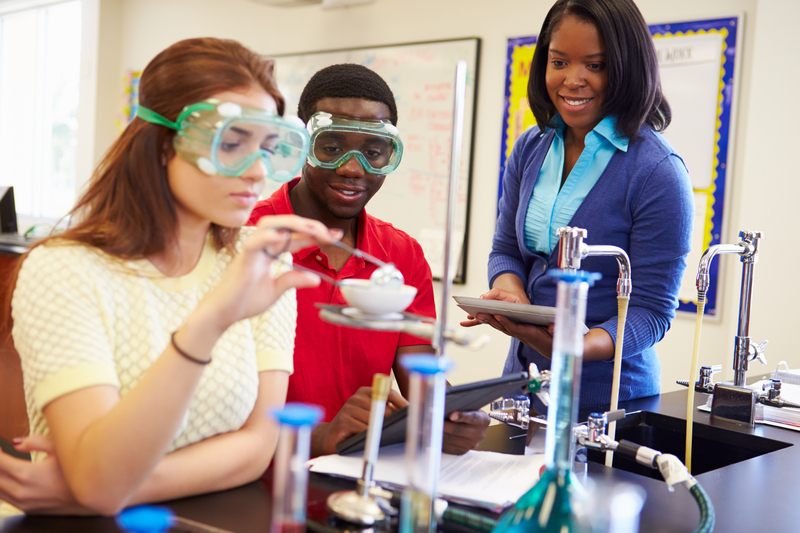 Proceeds from the affiliate programs help support Science Buddies, a 501(c)(3) public charity. If you have any comments (positive or negative) related to purchases you've made for science fair projects from recommendations on our site, please let us know. Write to us at scibuddy@sciencebuddies.org. In this science fair project, you will be recrystallizing borax under three different temperature conditions: in a refrigerator, at room temperature, and in an ice bath. Before you begin, make a hypothesis, based on your background reading, about how the crystals grown under each of these conditions will look. Write your hypothesis in your lab notebook. Prepare an ice bath by filling the large bowl half full of ice cubes and then adding water until the bowl is three-quarters full. Place the ice bath on a counter top or on a table, where it can be left undisturbed for at least 5 hours while the crystals grow. As soon as the ice bath is prepared, use the thermometer to take the temperature of the ice bath, of the refrigerator, and of the room (do this by putting the thermometer on the countertop or table). In your lab notebook, create a data table like Table 1 below and record the temperatures in this data table. Cut three pieces of string and tie one around each pencil. Once tied to the pencils, cut the strings so that they are of equal length and long enough that when the pencil is laid across the top of one of the jars or large drinking glasses, the end of the string hangs down to just above the bottom of the jar, as shown in Figure 2 below. Figure 2. Make sure the strings on the pencils are long enough to hang down just above the bottom of the jars, as shown here. Fill a cooking pot with enough water to fill each jar three-fourths full. Tip: If you use a measuring cup to measure the amount of water you add to the pot, this can help you figure out how much borax to add in step 7 below. Then, with adult supervision, bring that water to a boil on the stove. Once the water is boiling, turn the burner off so the water is no longer boiling. Caution: Borax is harmful if inhaled or contacts eyes, so it is advised to not use boiling water when dissolving the borax. Add 1 tablespoon (Tbsp.) of borax to the water, and stir until it dissolves. Continue to add 1 Tbsp. at a time, until no more borax will dissolve. You may need to wait for several seconds to see the borax dissolve. Once no more will dissolve, your saturated solution is ready. Hint: You will probably need to use about 3 Tbsp. of borax for each cup of water. With an adult's help, pour equal amounts of the saturated solution into the three jars. The jars should be about three-fourths full. 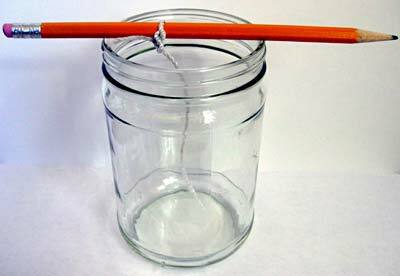 Lay a pencil across the top of each jar so the string hangs down into the saturated solution. Tip: If the string just floats on the top of the solution, you can tie a small screw, metal washer, or other small weight to the end of the strings. Be sure to treat each string the same way. Cover the top of the jars with plastic wrap. Place one jar in the refrigerator, leave one undisturbed on a countertop or table at room temperature, and put one in the ice bath you prepared. If needed, adjust the water level in the ice bath so that the water reaches at least three-fourths the way up the jar, but is not so high that it goes into the jar. Tip: If the ice bath needs to be very full to do this, you may want to set it up in a sink so that any overflowing water goes down the drain. Leave the jars alone for a minimum of 5 hours, or until crystals form (whichever is longer), and be sure not to disturb them. Let all of the jars grow their crystals for the same amount of time. Check the ice bath regularly to make sure that the ice has not melted. Add ice, as necessary. If crystals form under one condition before they do in the others, note that in your lab notebook and let all three conditions continue for another hour to see if any crystals form in the other conditions. Hint: To observe the crystals in the jar in the ice bath, try looking through the plastic wrap on the top of the jar. In the data table in your lab notebook, record the total amount of time (from step 11 to step 12) that you let the crystals form. Carefully remove the pencils, one at a time, and note the size, shape, and number of crystals obtained from each solution. Are there any differences? Why do you think this is so? Record your observations in the data table in your lab notebook. If you are presenting your project in a science fair, save the strings and display them at the fair. Be sure to keep track of which string belongs with which solution. Repeat steps 1-13 at least two more times to make sure that your results are accurate and repeatable. (Tip: Using hot water will generally get the crystals off of the glass jars.) How do your results compare to your hypothesis? Which temperature condition formed the largest, purest crystals? Why do you think this is? Think of other ways to quantify your results from this experiment and try them out. For example, you could use string and a ruler to measure the circumference of the crystal formations at different areas on the strings, or you could determine the weight of the crystal formations. Do your quantified results agree with your other observations? Try this experiment with other materials, such as sugar or salt. Try comparing how crystals form in a substance, both with and without impurities. For example, try crystallizing iodized versus uniodized salt. How do your results change if you grow your crystals for a longer period of time? Note: make sure you keep adding ice to the water bath to keep it cool throughout your experiment. Is recrystallization a good purification method? What kind of impurities can and cannot be separated using this method? Hint: Try adding impurities, like sand or food coloring, to the borax before you dissolve it in the water. Which material makes a better crystal? For my 8th Grade Science Fair Project, I chose to experiment a popular question, does salt or sugar make a better crystal? I thought this would be a fun and interesting project because I could learn what material makes a better crystal, using just boiling water, and salt or sugar. I love eating the rock sugar candies and I wanted to explore how they are actually made. My hypothesis was that sugar would make larger crystals compared to salt because there are candies made from these materials using sugar, not salt. The first step to creating my project was collecting my materials. I needed 2 types of salt, 2 types of sugar, glass cups, thick popsicle sticks, string, and measuring utensils. I chose to do Epsom Salt, Iodized Table Salt, Granulated Sugar, and Brown Sugar. With all the materials handy, I began my project by deciding what measurements I should use. I chose 1 cup of water to 2 cups of salt or sugar, because more salt or sugar than water will make better turnouts. After boiling 1 cup of water in a pot for about a minute, I poured in 2 cups of either salt or sugar and stirred until fully dissolved. Then, I let it cool down and measured out a cup and poured it into a tall glass. Finally, I cut and tied a piece of string around and popsicle stick and laid it on the top of the glass, The string was just short enough to dangle in the liquid, not touch the bottom of the glass. Once 24 was over, I took the crystals out of the glass and labeled them in cups. I measured the crystals in centimeters, finding the length and width, then finding the area. I lastly converted the area into millimeters because the pieces of salt or sugar are cubic. With this method, I did the experiment eight times, doing four mixtures two times each. My data has shown that overall, salt made larger crystals than sugar. The average area for a salt crystal was 101.75 mm and sugar was 30.5 mm, a 71.25 mm difference. Out of the two types of salts, Iodized Table Salt did better with an average of 95 mm. Out of the sugars, Granulated sugar did better with 25 mm as its average. And finally, I found that out of all 8 crystals, Iodized Table Salt number 2 did the best, with an area of 120 mm. By doing this project, I’ve learned about how materials react to being put into different forms. By liquidizing salts and sugars, I’ve learned that crystals can form. My hypothesis was incorrect, I truly believed that sugar would make larger and more crystals because of the candies, but salt has more qualities to grow. I think that overall, my experiment was accurate. To make my data even more true, I think that I could have made all the strings tied to the popsicle sticks the same length. I think that the Iodized Table Salt had a very long string, so it had more room to grow. But then looking at the brown sugar, it only grew towards the end of the stick. I also even tried two other salts that wouldn’t even melt with the cup of water in the boiling pot! Even with the differences in my 2016-2017 Science Fair Project, my data has shown the salt makes larger, and better crystals.